The recording of wildlife found in the Avalon Marshes and wider Somerset Levels and Moors plays a vital part in its conservation. Without good records and an understanding of what is happening in the landscape informed decisions cannot be made. This is where you can help. RoAM is a volunteer led species-recording group which operates in the Avalon Marshes. It offers the opportunity to contribute to the important role of species recording and learn more about wildlife. Anyone who is interested can get involved. Members of the group include staff and volunteers from the conservation organisations, people from the local community and visitors to the area. 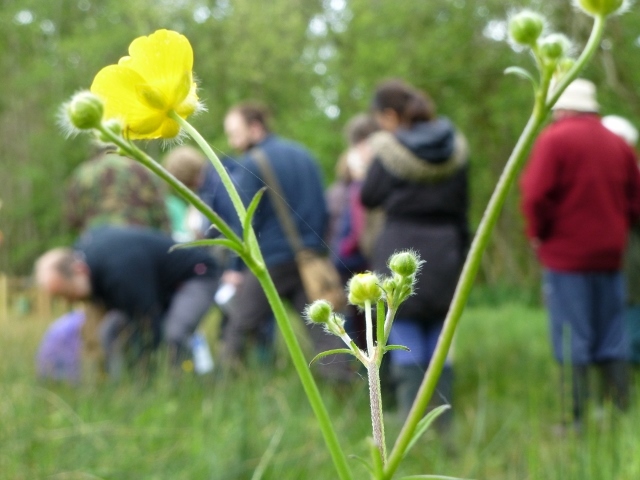 Skills range from absolute beginners through to professional ecologists – everyone is welcome no matter what their experience. The group is coordinated by Natural England’s Reserves Warden Julie Merrett with the help of volunteers. Monthly field meetings are held at the Avalon Marshes Centre with visits to nearby reserves. Weekly groups convene in the spring and summer months to help with monitoring work and many opportunities for training are offered. 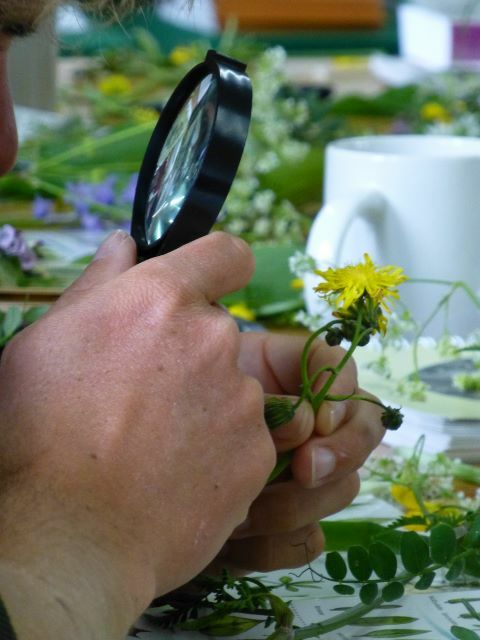 Members of the group try to support and mentor each other, and seek to continually develop and improve their natural history skills. Each monthly meeting has a theme, looking at a different species group in each session, and is usually led by a local expert. A short introduction to the species is given and then the group goes out onto the reserve to develop their ID skills in that area – real ‘on the job’ training. The group also has access to the centre’s classroom which has microscope facilities for more detailed ID work when required. Wildlife sightings in the Avalon Marshes area can now be entered straight onto RoAM’s iRecord online database. The iRecord – Sightings link will take you to the RoAM data-entry page. This page is used by RoAM members, staff from the Avalon Marshes partner organisations, other local recording groups and casual recorders on the reserves. When data is pooled together like this, it makes sightings in the area more easily seen by the general public, so you know what you might be able to see where on the reserve. The data collected is also more easily-accessed by local land managers which will then help support better evidence-based, on-the-ground management decisions. 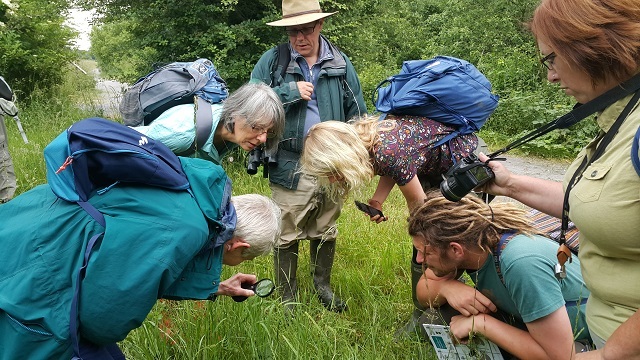 For further information about RoAM or to book on to one of their field meetings, please contact: julie.merrett@naturalengland.org.uk or call 01458 860120.
iSpot is a A friendly and free community helping to identify wildlife and share nature.